This is a collaborative piece where I have been myself and visual artist Berglind Jóna Hlynsdóttir. The piece is twofold, a sound installation with a first person narrative about the house and its history, its debated past and celebrated present. Then there are 8 concerts, one for each of the buildings 8 sides, and a total of 64 variations on an invisible/inaudible theme. Fersteinn is performing the music. The band includes the conductor and the treasurer of the Reykjavík Marching Band which has owned the house and built it in 1922-1923. 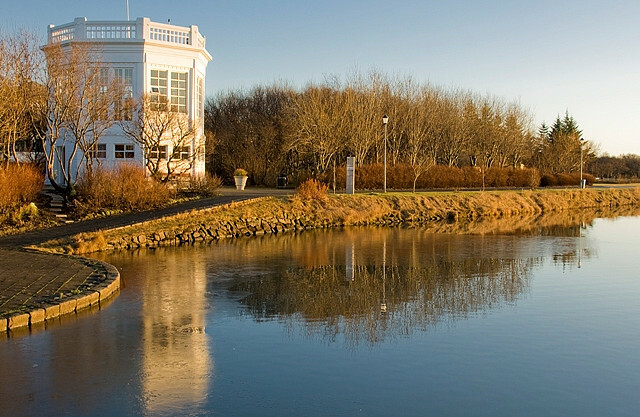 It started hosting activites in 1923 and therefore this can be considered a 90th anniversary celebration of arguably the most important structure built for Icelandic music (so far, or at least until very recently). ← Iceland Symphony Orchestra will premier Grafgata on April 19th!